A year after bringing his highly-regarded Architects and Engineer’s specialty insurance practice to Kraus-Anderson Insurance, a lot has changed for the group formerly known as Dennis Linder & Associates: a move, a new brand, more business opportunities, more growth, a bigger office and more employees to greet in the lunchroom. However, the most important things haven’t changed. And that’s by design. 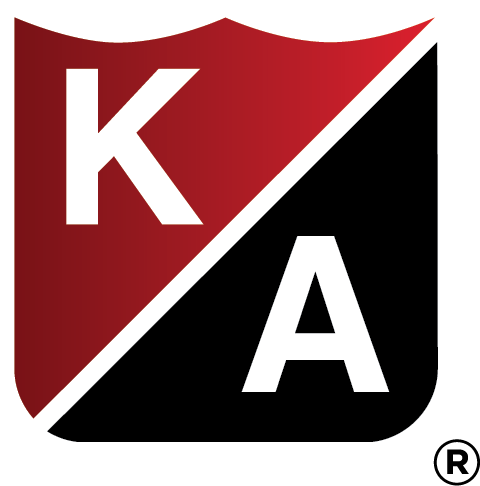 With the acquisition of Linder & Associates, KA Insurance launched its Architects & Engineers practice in July 2017, dedicated to providing specialized expertise in the area of these professionals’ distinct risk management needs. What is the significance of bringing Linder & Associates into Kraus-Anderson Insurance? BRIAN KAMPF MANAGING VICE PRESIDENT, KRAUS-ANDERSON INSURANCE A&E PRACTICE: KA Insurance is very intentional about our growth. We won’t enter in to acquisitions lightly and we’ve walked away from several opportunities. Dennis Linder’s group is unique and bringing them into KA Insurance has allowed us to expand our services in a very targeted, powerful way that represents a perfect strategic fit for our organization. Dennis Linder, you’ve built up Linder & Associates over 16 years. Tell us a little about your clients. DENNIS LINDER, SENIOR RISK CONSULTANT, KRAUS-ANDERSON INSURANCE A&E PRACTICE: We have over 200 firms related to the architects, engineering and design professional industry who are largely Minnesota based, yet many with a national and international reach. Our clients collectively bill more than $750,000,000 in design fees annually. Brian, as manager of the A&E Practice, tell us a little more about what makes this group unique among risk management disciplines. BRIAN KAMPF: The service we provide is highly focused and includes a cross-section of traditional Property/Casualty and Professional Liability expertise for this niche market and is intended to respond to the unique demands our clients see from their customers. Architects and engineer professionals are naturally concerned about their brand, they are often the name on the company and they are practicing their brand. If there is a problem, or worse, a claim, they want to address it. They want their brand recognized as one that takes care of its responsibilities. We understand that. Professional Liability claims are all unique, so each one requires specialized handling to manage effectively. We help put them with companies that understand these special needs, the liabilities involved. And we provide claims advocacy as few can because of our experience with the industry. How has this transition benefited your A&E clients? DENNIS LINDER: We now offer an additional menu of services, and they’re taking advantage of those. 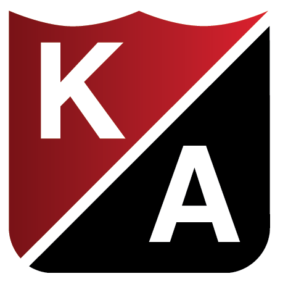 We’ve had clients sign on for Benefits, Risk Innovation, HR consulting, Surety and COMPTROL workers comp management services – all areas of expertise we didn’t have under our roof prior to joining the KA Insurance team. We could have arranged for them, but we didn’t have these services in-house. What else distinguishes the Kraus-Anderson Insurance A&E Practice? BRIAN KAMPF: We work closely with our clients to help them understand what risk is being transferred and what is being retained. Using a basic cost/benefit analysis, we can make common sense recommendations to help support smart risk management decisions. These sophisticated firms recognize they are taking on a lot of risk and they want their insurance broker to understand that. That’s where Kraus-Anderson Insurance delivers. DENNIS LINDER: Our clients typically perform work under contract. There are basically three types of contracts: standard consensus agreements; heavily modified consensus agreements; and non-consensus agreements. We can look at all of these, and their related components – warrantees, overstated standards of care, insurability and unreasonable transfers of risk. We’re not lawyers. But we can harmonize contractual standards of care that are inconsistent with their professional obligations and their professional liability insurance. These efforts can help soften the legal expense incurred by our clients regarding insurability. Let’s talk about change management. What were your goals in bringing your business over to KA Insurance? DENNIS LINDER: I’ve always liked to make things happen. I was a commercial underwriter for 10 years, and in that field it can be easy to say no. I always did the extra work to get to yes. So after working in this industry, establishing and building up a very strong business, including the regard and trust of these clients, I still wanted to grow with this industry and build on what we’ve accomplished. You also wanted to secure the future of your team so you brought your entire team along with you. DENNIS LINDER: Yes, all seven of us came over together. That was a very important part of my decision to come to KA Insurance. More important than the money piece of it, to be honest. This team has been with me 15, 20, some of them 30 years. They’re incredibly talented people, and they’re the reason for our very high success rate. Have there been any challenges in blending the A&E team with Kraus-Anderson? DENNIS LINDER: We have always provided a very high standard of service to our clients, and with any change there are some unknowns. When the acquisition was announced, some of our clients let us know they would be watching to see if there was any slippage in our standards. We are now one year into this and they’ve told us that we’ve maintained those high standards. What’s helped in the transition? DENNIS LINDER: Shared values. We have a common goal to do good for our clients and our people, we share high standards, and we rely on the expertise of our people. How has you your presence here changed the way you work? Has it changed anything? DENNIS LINDER: KA is a well-established, growing, competitive organization, and invests in its people. Coming here, it’s more strategic and proactive. When you’re just six or seven people, sometimes you have a greater sense of immediacy, and you just respond as necessary. KA’s organizations is bigger and more structured but we’ve learned a lot of good things from each other that will facilitate positive changes in our ongoing processes.